Driving through the barren Negev desert on a hot morning in June, it’s hard to believe that one would encounter a section of desert that has been revitalized for agricultural use and grazing, to the point that whole patches of vegetables and herbs flourish under the desert sun. But as the 2018 GSF fellows were about to see, Project Wadi Attir, The Lab’s own flagship project, has done all of that and more. The 2018 Global Sustainability Fellows (GSF) session marked three weeks of intensive research, study, and collaboration for the 17 participating fellows, who hailed from 15 different countries. Each fellow brought with them a unique background and desire to create sustainability related changes throughout the world. During the program, they learned how to apply the Lab’s sustainability framework and systems thinking models to challenging problems facing the globe. 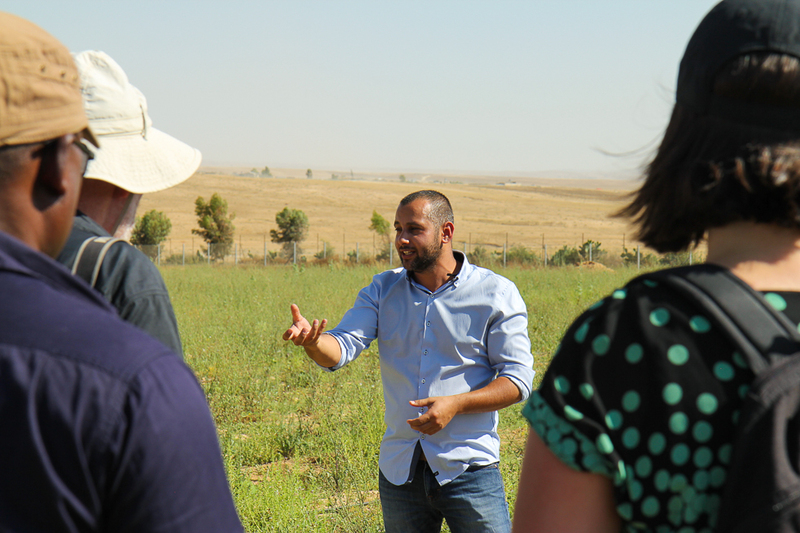 The fellows were exposed to various real-world examples of sustainability related innovations, and one such example was through a visit to Project Wadi Attir. The fellows spent one day at Project Wadi Attir, to gain an understanding of what the Lab’s sustainability principles look like in action. 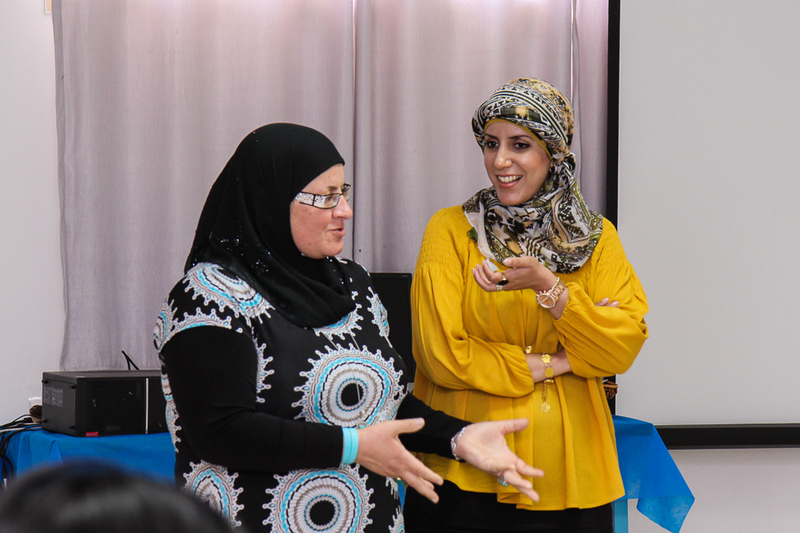 First, they gained a theoretical background in the project, through a series of introductions to staff and community members, including the Director General of the project, Lina Alatawna. After Lina introduced the project’s history and impact to the fellows, there were a series of technical presentations related to project’s integrated infrastructure of green technology, such as the hybrid solar-wind energy production and storage system, the production of biogas from waste, the use of drip irrigation, the wastewater treatment system, and the project’s ecosystem restoration initiative. 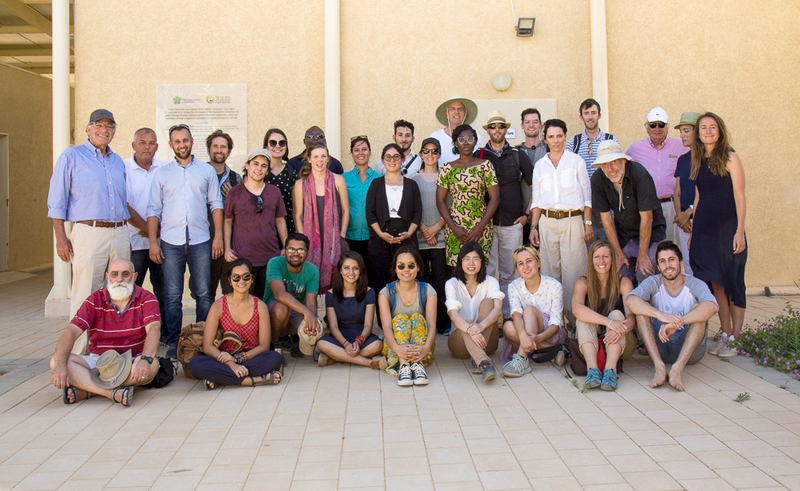 Following the presentations, the fellows embarked on a tour of the project, lead by 2018 fellow Amran Amarni, who is also the Director of the Visitor’s Center at Project Wadi Attir, as well as Dr. Stefan Leu, one of the leading scientists behind the ecosystem restoration initiative. The fellows toured the site in its entirety, seeing firsthand the expansive plots of indigenous vegetables and medicinal plants, the traditional methods of animal husbandry, and the many integrated green technology initiatives throughout the project. The fellows then enjoyed a traditional meal, made from cheeses, vegetables, and other ingredients grown and produced onsite. The visit to Project Wadi Attir during the 2018 GSF session was a particularly important synthesis of the theoretical information that the fellows learned throughout the program, with the practical application of an integrative, sustainable solution to a real-world problem. The visit also provided local context for the fellows: the Bedouin community is one of the most marginalized in Israel, but it can be difficult to understand the implications of that current and historic marginalization without seeing it firsthand. Through the trip to Project Wadi Attir, the fellows were exposed to the direct impacts of the project, and observed how Project Wadi Attir has significantly contributed to social equity for the local Bedouin community, uplifting and empowering an underserved population. It is important in any theoretical discussion of change-making to also see the practical application of what development can look like for communities, and the world at large. Through the GSF trip to Project Wadi Attir, the fellows were equipped with the firsthand understanding of what community-driven, innovative, sustainability related change can accomplish.